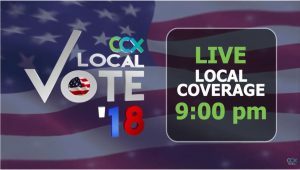 CCX News will have live, local Election Night Coverage. We’re following some very competitive state House races, as well as local races for mayor and city council. Plus, we’ll have coverage on the Robbinsdale School District’s levy referendum and Brooklyn Park’s bond referendum on city parks. Our live coverage on CCX News begins at 9 p.m.